Chicken Chili is one of those great go-to staples of Crockpot cooking. It’s a family meal and a crowd pleaser. You can throw a pot together for a football party or just for a quick weeknight meal. If it’s one of those days you are not all eating dinner at the same time, no problem! You can keep this crockpot chicken chili warm in the crockpot and everyone still gets a healthy and satisfying dinner. Some say it even tastes better reheated the next day! Crockpot cooking is one of my favorite things! I love being able to set the crockpot or the Instant Pot and go spend time doing fun things with my family. Another thing I love about making recipes with the slow cooker is that I can have a fresh, home cooked meal on the table with very little effort. I can make meals that suit our dietary needs and feel good about making food that I feel safe feeding my family! Crockpot recipes are great for busy weeknights and after school too. 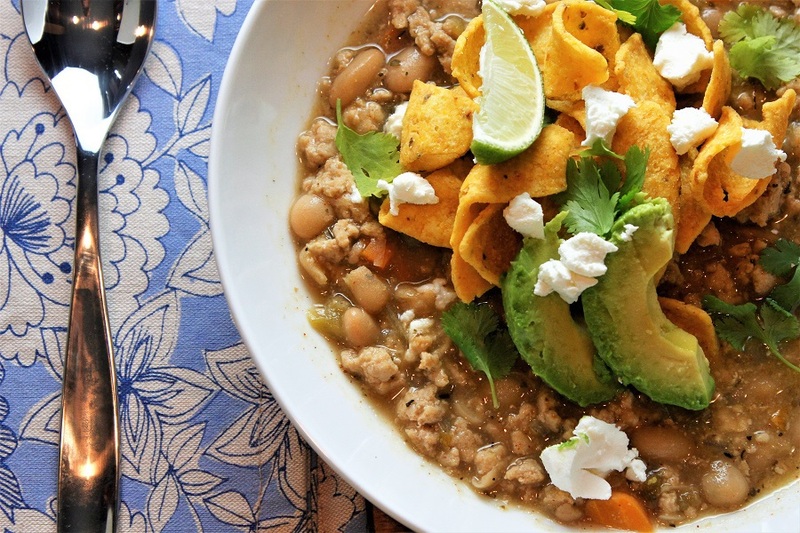 Add this crockpot chicken chili into your meal plan for easy weeknight meals. This chicken chili is perfect for large groups, football games, and parties! The addition of fresh roasted peppers and lime zest gives it a little extra zing. 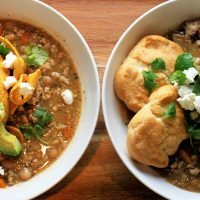 Serve this chili with an upscale toppings bar of goat cheese, avocado, fresh cilantro and lime wedges for a new take on a traditional meal or pour it over fresh biscuits for a deconstructed take on pot pie. The best part is, it all cooks in the crockpot but tastes like you spent all day cooking! When it comes to making chili of any kind, a crockpot or slow cooker of any kind will be your best friend. The chicken in this recipe will absorb the flavors of the rest of the ingredients over time. Which means every bite will burst with flavor. The garlic, chili peppers, and bone broth will all add so much flavor to your chili that it could win awards. The key to a good chili recipe is the slow cooking and giving the ingredients enough time for each ingredient to help each other ingredient. The second most important aspect of a good chili is the seasonings. 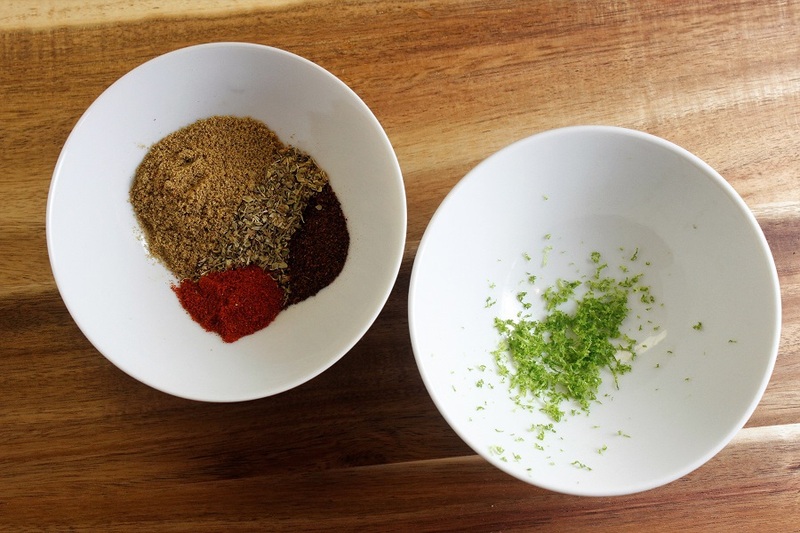 There are a few different seasonings that will need to be added like cumin, paprika, oregano and more. 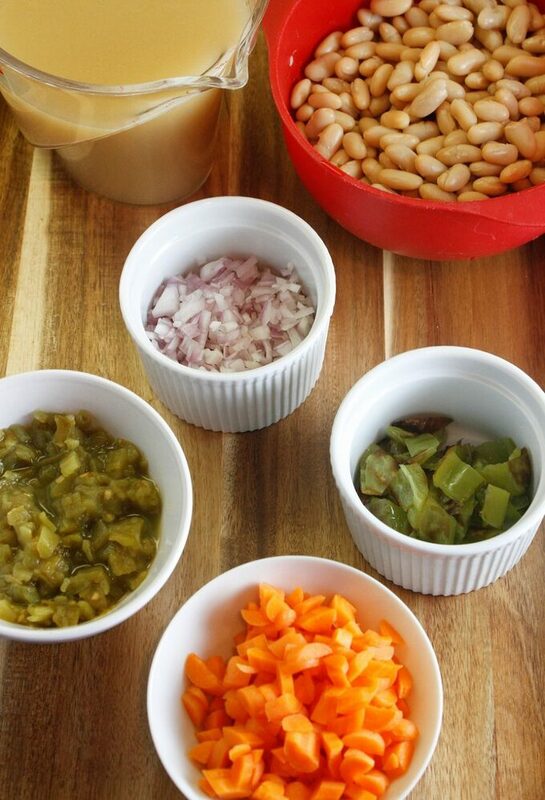 Not only will these add a lot of flavor to the chili, but they will also add a great smell to your home as it cooks. After the chili has cooked properly, you can serve the chili with a few toppings. 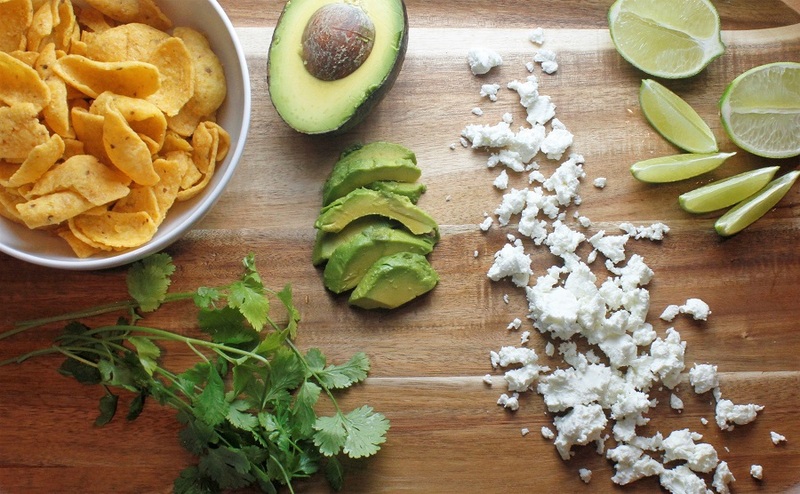 Plenty of people go with cheese but try goat cheese with this recipe or lime wedges and cilantro. You can even add avocado, chips, and biscuits for additional heartiness. If you are roasting your own pepper, clean and remove the seeds. Spray or brush with Olive Oil and roast on a cooking sheet for 20 minutes or until the pepper starts to brown and blister. In a large skillet, heat Olive Oil and add garlic. Cook for about 1 minute at Med-High. Then add ground chicken cook until browned. 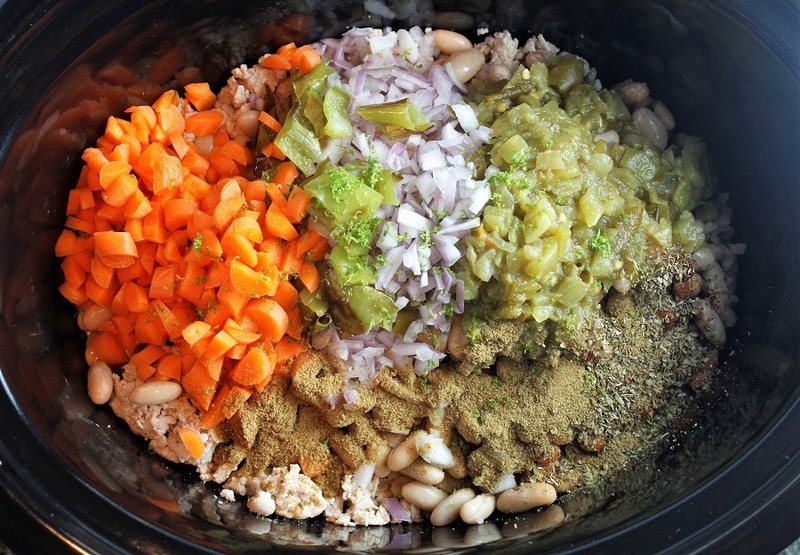 Add all Crockpot Ingredients to the Crockpot. Top with the Seasoning Mix. Give it a stir to combine the ingredients. Turn the Crockpot to high and slowly add the mixture to the chili, stirring as you go. The amount you use will vary depending on how much liquid you have in the Crockpot and how thick you like your chili. Stir in the thickener until it is dissolved and then let the crockpot cook on high for about 30 minutes to thicken. 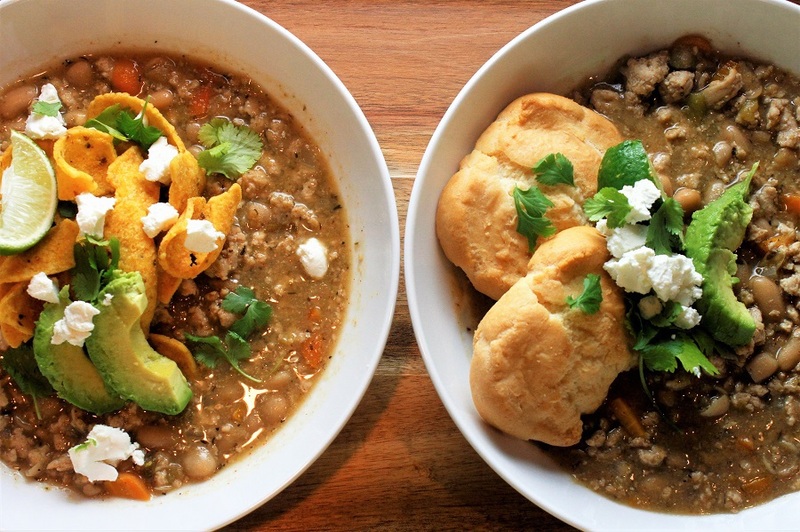 Serve in shallow bowls with a toppings bar of lime wedges, chips, goat cheese, avocado, and cilantro, or make it a deconstructed “pot pie” by serving it over biscuits of your choice. 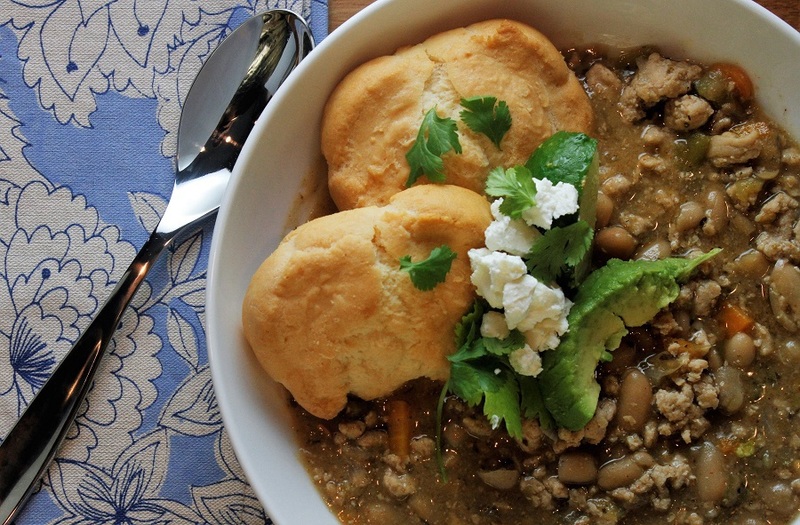 Whatever your reason, put this chicken chili in your rotation for something different. Ground chicken rather than large pieces mean no shredding!